While there are various important components that play an integral role in the process of attaining a job or applying to a university, the curriculum vitae is particularly important. By gaining a basic understanding of what the curriculum vitae is and how it is used, you can prepare yourself for success when applying for a job or entry into a college. A curriculum vitae (or CV) is a document that provides the reader with a basic overview of an individual’s educational experience and qualifications. In many regions of the world, the CV is the first document that employers examine to determine a job seeker’s aptitude for employment. After this screening process, the employer may call a job candidate in for an interview. To gain a better understanding of what a curriculum vitae is, one can consider the differences between the aforementioned document and a resume. 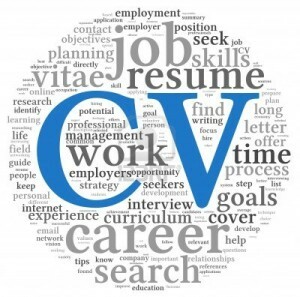 In her important article “Curriculum Vitae vs. Resume?,” Alison Doyle notes that the primary differences between the CV and resume include the length, inclusions, and purpose for each document. While the resume is generally confined to one or two pages, the CV will typically be a minimum of two pages and include a more detailed synopsis of the candidate’s skills and qualifications. And while the resume can be used when applying for any type of job, the CV is primarily appropriated when an individual is applying for a research, scientific, education, or academic position. CVs are also used when an individual is applying for a grant or fellowship. In this section, you will document things such as where you graduated from high school as well as which college you attended. Here, you will document any experience you have with teaching or research. This could include a position as a teaching assistant which incorporated grading papers or your work as a graduate-level instructor. If you have substantive experience in conducting research, this work would also need to be documented. Any publications that you have attained in academic journals, newspapers, and various other forms of media should be documented here. In some cases, web articles and blogs might be applicable. Presentations can include anything from your delivery of a research paper before an assembled body to a conference lecture you gave during an international meeting. Awards and Honors are an important aspect of the CV because they demonstrate your ability to operate in excellence within your field. Here, you can list any type of substantive award you’ve earned such as “Best Researcher for 2013.” Listing any honors you’ve received is also advantageous because it demonstrates your ability to perform well academically. The curriculum vitae is an important component of the application process when you are seeking a job or entry into a graduate-level school. By reading the general information above regarding the curriculum vitae, you can prepare yourself to create a great document that makes you a marketable job candidate.